An early release day meant we all ate lunch in the classroom today, kids filing into the cafeteria to pick up sad little sack lunches of peanut butter and jelly “uncrustable” sandwiches, cheese stick, apple, baggie of baby carrots, milk — chocolate or regular. The two or three kids with lunches packed from home were flooded with offers to trade something, anything, my kingdom for a few Pringles, oh my gosh you have Pringles, I will be your friend and you can have my Xbox if only you will share your amazing wonderful Pringles. Miss? Can we grade spelling tests, file papers, have a sticker, braid your hair? I love unplugged moments like this, unencumbered by assignments and tests, please don’t talk while I’m talking, line up in ABC order, don’t make me sign your agenda. Just magical, awkward fifth graders trying so hard to keep their balance teetering on the edge of adolescence. Most of the kids had tossed them aside, the orange scourge of the sack lunch. But he was carefully gleaning the carrots from the abondoned bags, filling up a sack to slip in his backpack. I said nothing, but stopped a few kids who were throwing out apples. Later, with a conspiratorial wink, I tucked them in alongside his carrot stash. After school, I watched him show his little sister the bounty of his foraging. I went back into the school, smiled through a dozen parent conferences, graded a few hundred papers, grabbed a quick dinner with co-workers. Then, driving home, remembered the carrot collector, pulled off the road, and sobbed until my head hurt and no more tears would come. They weren’t really for my carrot collector. I can make calls, get help, make sure he always goes home with a backpack of food. But in a crowded classroom, a daily agenda packed with test worries and paperwork requirements… who slips by? Who is the child overlooked, unnoticed… left behind. This is what I want to tell my legislators and policy makers. While you chase rabbit trails of better tests and more tests and higher-stakes tests, you are losing sight of the carrot collectors, our most vulnerable children who will never achieve academic excellence when they are hungry and struggling to have basic needs met. Maybe they need more rigor and RTI, but more than that, they need more teachers in smaller classrooms, so that someone sees it when they are gathering snacks to survive the weekend, when they are teary every other Friday because the parent with custody that weekend is dangerous and threatening, when they are late to school because they can’t set an alarm when the power is turned off. I do not fear accountability. But I want to be held accountable for the things that matter. Did I give kids the individual help they needed to succeed? Did I feed their curiosity for learning so that they see other options beyond the life they are living now? 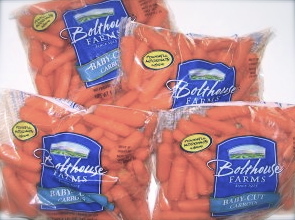 And for God’s sake, did I notice when they were collecting carrots? I’m sitting in a stadium filled with high school football fans, as I wipe tears from my eyes. I can only hope there are more amazing teachers, students, human beings, who take notice of the carrot collectors. Much love to you, my friend. I love your humanity, and I love you, dear friend. Thank you for keeping a sharp eye out for the carrot collectors. Bless that kid and his family. Oh, man, this made me cry. This is my world. Today, I learned that a kid with “anger management issues,” a kid who I have always thought of as a PITA, a kid who I have always thought of as needing some guidelines…….is living with a parent who hates and resents him because being a parent is cutting into her party time. Several of us put our heads together and compared notes and realized how awful this kid’s living environment is. It breaks my heart that we didn’t realize it before. It kills me that I couldn’t get that kid out of that environment TODAY……. but we’ve started that ball rolling. In the meanimte that occasional thumping sound you hear, is my head banging against the wall. This post is so heartbreaking and so true…As a fellow teacher, I’ve seen that kid collecting carrots. I’ve also learned (after the fact) about the kid who didn’t eat anything for breakfast because as the little girl told me ” we didn’t even have a nickel to buy anything with”. As much effort as these policy makers put on testing, I wish they would put that effort into making sure that ALL kids have food and a roof over there head. I am sitting here with my family after church just having finished a veritable feast and I am crying for this (and the other) carrot collectors. May we all have open open eyes for the vulnerable childen. What a lucky child to have a teacher as observant and caring as you.